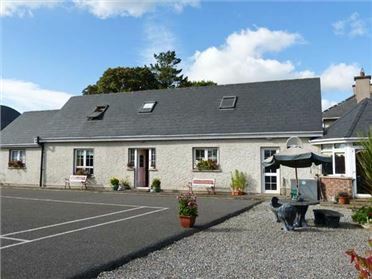 Carraig BÃƒ n is an immaculately-presented detached cottage located seven miles from Louisburgh on the beautiful County Mayo coastline and can sleep eight people in a double room with en-suite and a further two ground floor doubles (one with en-suite) and a ground floor twin. There is a family bathroom and an additional cloakroom on the ground floor. 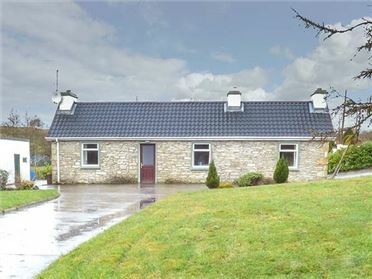 The rest of the property contains a kitchen with breakfast bar and dining area, a sitting room with woodburning stove and a first floor mezzanine sitting room. To the outside there is off road parking for three cars and lawned gardens to the front, side and rear. 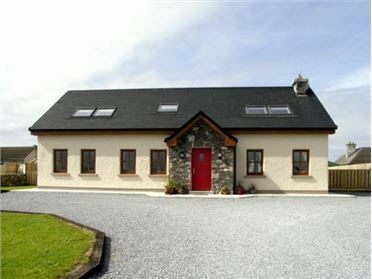 Carraig BÃƒ n is wonderful cottage for families and friends to get together and explore this lovely area. Oil central heating with woodburning stove. 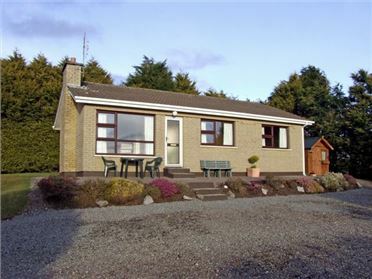 Electric oven and hob, microwave, fridge/freezer, washing machine, tumble dryer, dishwasher, TV with basic channels, WiFi, selection of games and DVDs. Fuel, power and starter pack for stove inc. in rent. Bed linen and towels inc. in rent. Gated parking for 4 cars. Lawned garden to front, side and rear. Sorry, no pets and no smoking. Shop 7 miles, pub 1 mile.